Michael and I recently enjoyed a delicious and fun date night dining experience at The Melting Pot's San Antonio location. We enjoyed their signature four-course San Antonio Big Night Out experience that was a truly over-the-top dining experience! From the moment we were seated until we left completely stuffed a couple of hours later, everything tasted great. I can't wait to share the entire experience with you!! 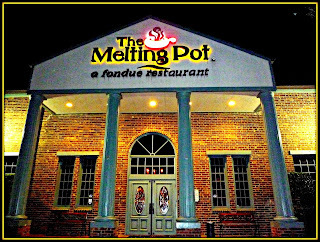 The Melting Pot has locations nationwide and features cheese, entree, and chocolate dessert fondues -- as well as delicious cocktails and salads to round out your dining experience. 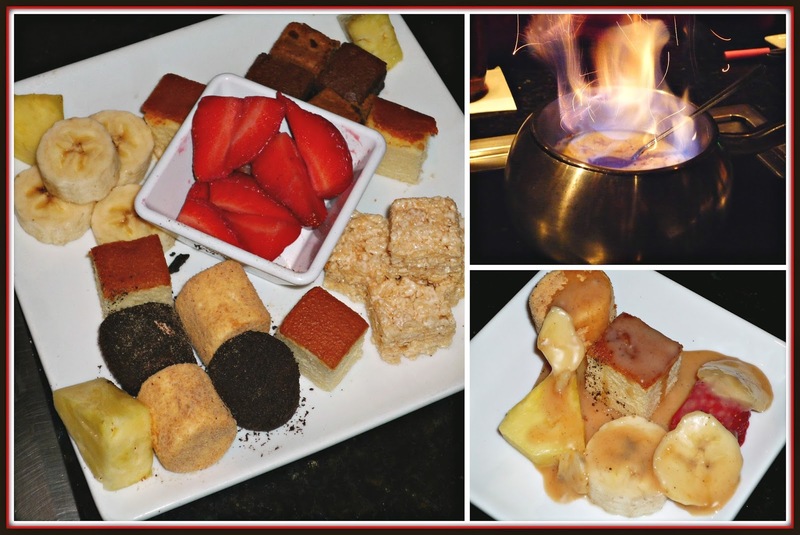 Whether your're celebrating something special, looking for a romantic date night destination...or even a fun girls night out...The Melting Pot has you covered! When we arrived, we were warmly greeted and shown to our booth table. In the center was a heated insert where our fondue would be cooked. While we looked over the menu, a duo of delicious cocktails selected especially for us arrived for us to enjoy -- their classic Love Martini and the creative new The Melting Pot Mule. The Love Martini features Malibu Rum, peach Schnapps, cranberry juice, and fresh strawberries. It was sweetly tart, with a gorgeous red color...I definitely loved this martini. 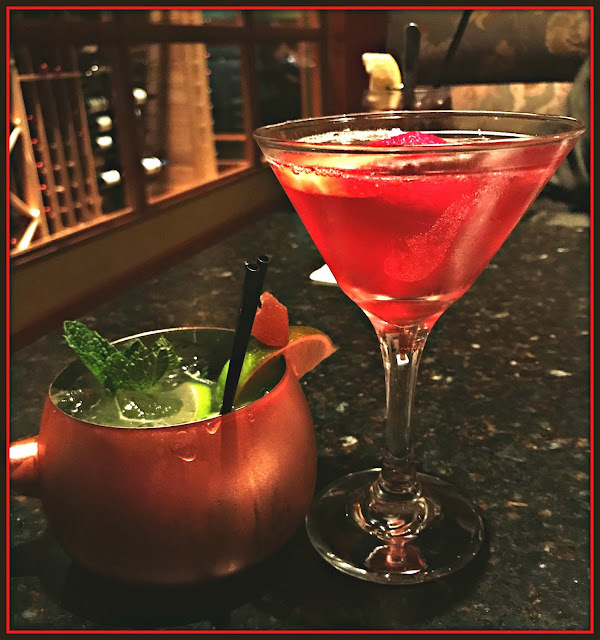 The Melting Pot Mule is a modern spin on a classic Moscow Mule that features classic mule Stolichnaya Vodka and Domaine de Canton Ginger Liqueur muddled with fresh mint, then shaken with lime and topped with ginger beer. It was refreshing and totally delicious. Then, it was time for us to enjoy tour San Antonio Big Night Out! This four-course dining included a cheese fondue of our choice, salad, an elevated entree fondue experience, and a chocolate dessert fondue. We loved how personalized the entire experience was! For our cheese fondue course, we selected the delicious Italian-inspired Quattro Formaggio. It featured four different cheeses -- Butterkäse, Fontina, fresh mozzerella, and Parmesan -- melted with white wine, garlic, and basil pesto, and sun-dried tomato pesto. It was served with small chunks of different breads for dipping...and it was absolutely delicious. We loved how the flavors of garlic and pesto combined with the cheese. Our fondue experience for two was off to a great start! Our second course was a refreshing salad. We opted for The Melting Pot House Salad, which featured crisp Romaine and iceberg lettuces, cheddar cheese, juicy diced tomato, crunchy housemade croutons, and slices of boiled egg. 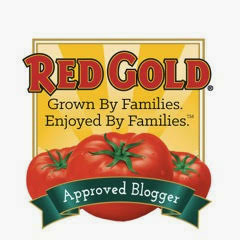 It was served with a delicious creamy peppercorn ranch dressing. This was such a great salad -- perfectly chilled and made with pristinely fresh ingredients. 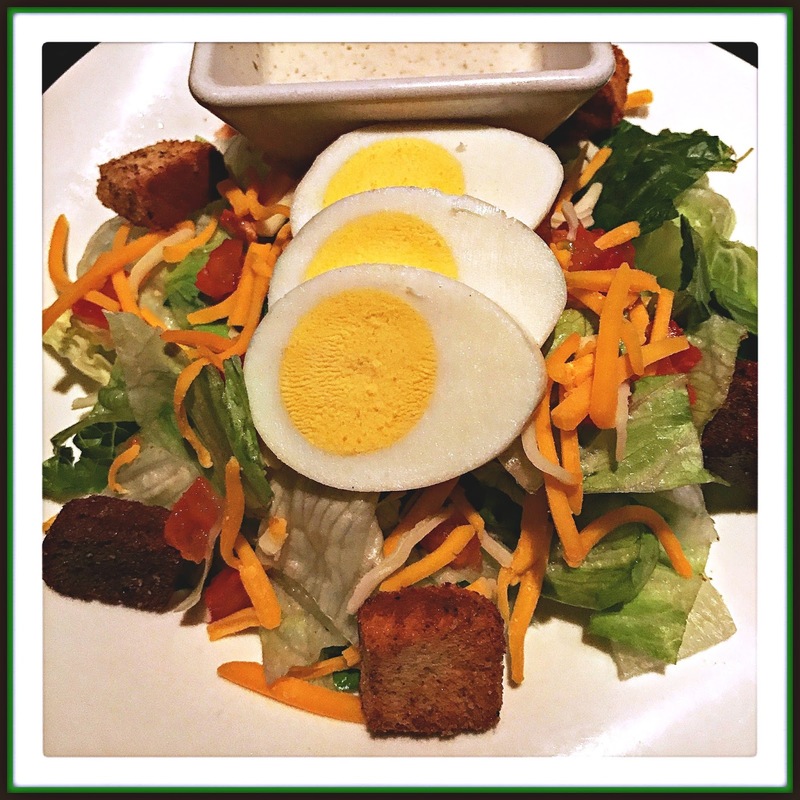 I especially loved the creamy ranch dressing, which is made in-house daily. We were having such a good time...and then our over-the-top entree fondue was set up for us! The San Antonio Big Night Out entree comes with a wide range of delicious proteins, including cold water lobster tail, teriyaki-marinated sirloin, Memphis-style dry rub pork, sea scallops, garlic and wine fillet, and raviolis. We also received a variety of veggies to accompany the seafood and meats. For our fondue broth, we opted for the tropical-inspired Mojo preparation. The bouillon was flavored with fresh garlic and citrus, which paired especially nicely with the seafood. We had such fun skewering our food and cooking it in the bubbling mojo broth. Our server was very helpful, telling out how long to submerge each item in the Mojo broth to ensure it was perfectly cooked through. For additional flavor, a selection of dipping sauces was brought to the table. 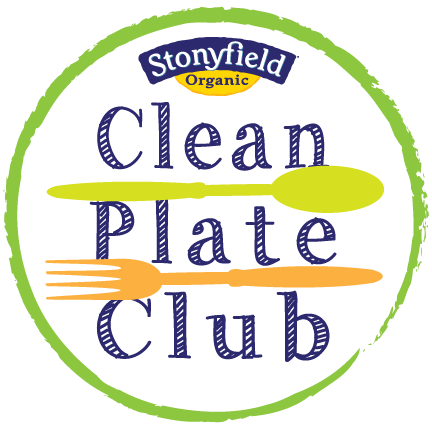 We spooned them into our special plates and had fun dipping the cooked seafood and meats into the flavorful dipping sauces. Before we knew it, it was time for the dessertcourse! It was really difficult to choose from all of the delicious varieties of chocolate fondue on the menu. We finally agreed on the New Orleans-inspired Bananas Foster fondue. It featured white chocolate, bananas, dulce de leche, and cinnamon. It was dramatically flamed tableside, which was quite a show. A wide range of dessert dippers accompanied the fondue, including fresh fruit and berries, pound cake, marshmallows, marshmallow-cereal treats, and brownies. I was officially in my own personal dessert nirvana!! We were offered a second chocolate dessert fondue to feature in this article -- so we opted for the over-the-top Flaming Turtle, which featured milk chocolate melted with caramel and candied pecans. It was also flamed at the table, which I loved. The manager had one last surprise for us: a yummy dessert-inspired cocktail to round out our visit. The decadent Yin & Yang Martini features Godiva White Chocolate Liqueur and Stoli Vanilla Vodka blended with ice cream. 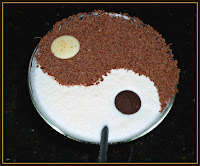 It's garnished with shaved chocolate and chocolate discs in a distinctive yin and yang pattern. It was like drinking an adult milkshake -- rich and creamy with a boozy kick. It was the perfect ending to a fabulous dining experience. 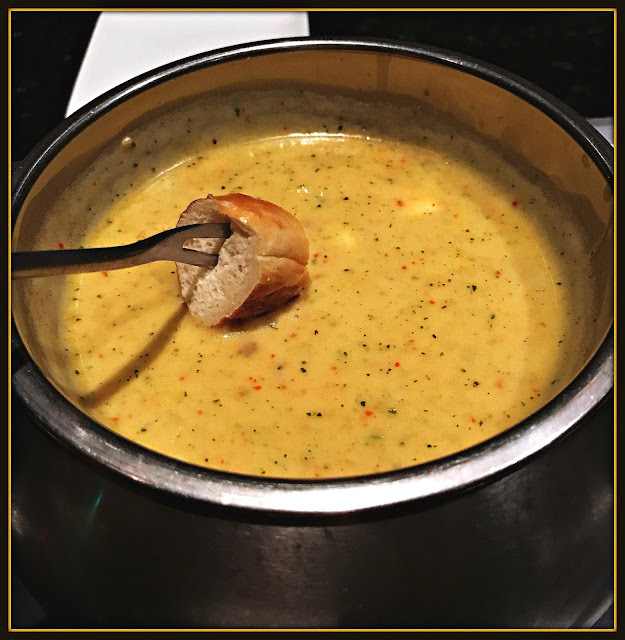 It was our first date night at The Melting Pot...but it definitely won't be our last! The four-course San Antonio Big Night Out is $92/couple and includes a cheese fondue course, salad course, enhanced entree fondue course, and a dessert. That's a bargain when you consider the amount of food served, the quality of that food...and the fun, interactive dining experience! 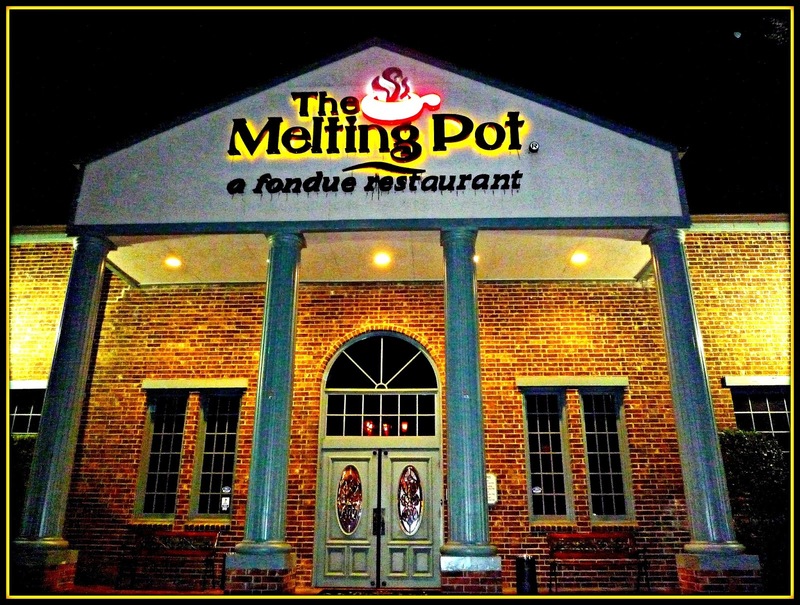 The Melting Pot's San Antonio location is on Blanco Road. 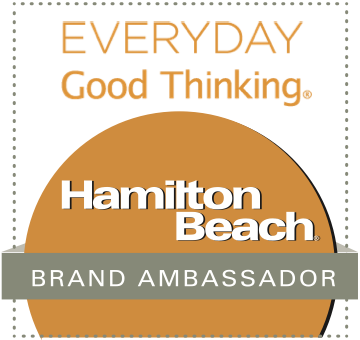 They have a couple of really fun events scheduled that I want to share with you. 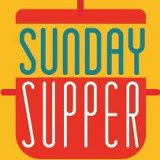 First up is Fat Tuesday Endless Fondue on Tuesday, February 28th. Celebrate Mardi Gras with a fantastic four-course fondue experience for just $44/person! They're also planning Seafood Fridays during Lent in March and April. 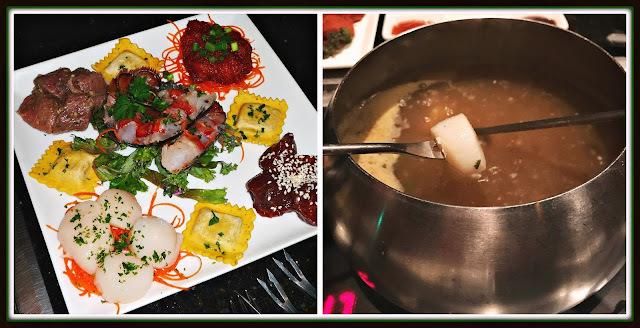 For just $35/person, you will enjoy a fabulous four-course dining experience that features a seafood entree fondue course. 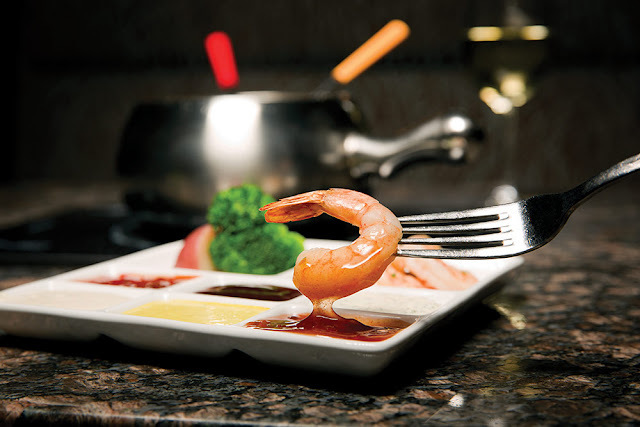 To make a reservation for either event, simply call The Melting Pot at (210) 479-6358. They also accept reservations online. Disclosure: The Melting Pot hosted The Weekend Gourmet for a four-course dining experience and cocktails. All opinions are solely my own.